Q: Could you provide our readers with a brief introduction to Gate Labs? A: Gate Labs created the world’s first all-in-one smart lock with a video camera embedded inside the unit. The company was founded in 2014 by a team of ex-Google and Qualcomm engineers in San Francisco, CA. The outcome is a virtual doorman for busy homeowners, Airbnb hosts, and property managers of multi-family apartment complexes. The Gate smart lock is the only home security unit that can enable what we call trusted access. Trusted access is the ability to not only lock and unlock your door from anywhere (wherever there’s Wifi or 4G), but it also to visually authenticate and verify your visitors. 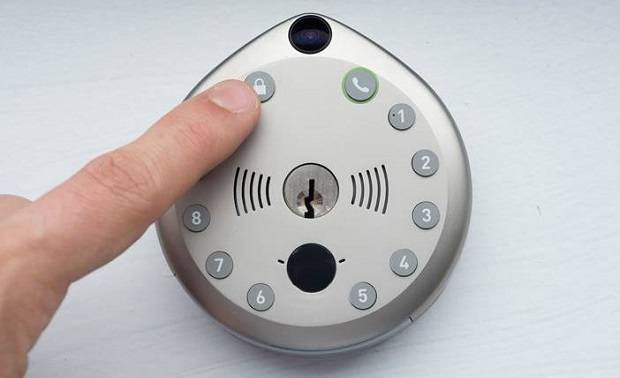 A smart lock system without video is essentially blind. Gate lets users “see” who and what is happening outside their doors. And because our video camera is dynamic—it swings on the door as it opens—it records the entire entrance and exit event. Q: You’ve recently released second generation operating system for your video smart locks; could you tell us something more? 1)Optimized motion sensitivity settings. Users can now select from three settings (high, medium, and low) on the Gate App to adjust motion sensitivity to best fit their particular door environment. “High” sensitivity detects and captures motion from 30 feet away, “medium” from 15 feet away, and “low” from five feet away. The upgrade also improves detection of head-on activity. 2)Instant video streaming. The latest release reduces the lag between the detection of motion and the initialization of video recording so that live video streaming is delivered to users’ Gate App in under two seconds. 3)Improved Wi-Fi performance. Gate uses Wi-Fi connectivity so that users can reliably manage access to their homes from any location. The latest firmware update extends the Gate Smart Lock’s range by 400 percent, improving transmission between the device and users’ routers. Gate also added “adaptive Wi-Fi” to its smart locks to fix previous issues with weak Wifi signals; devices now adjusts Wi-Fi data rate to optimize video capture regardless of a router’s proximity to users’ doors. 4)Extended battery life. Gate Smart Locks now consume roughly 30% less power when idle. Current Gate users can verify their devices are up-to-date by checking the “About This Gate” section of the Gate App (it will say “Firmware Version 1.2.0.1.”). Q: There are many smart locks to choose from. What are the advantages of having a video smart lock like Gate? A: There are several players in the $50 billion home security industry, however, to equal the set of features Gate provides, you would need to purchase the products of three competitors. Gate is the only solution in the market that is tailored to serve the specific needs of homeowners, Airbnb hosts, and multi-family unit property managers because Gate offers an all-in-one self-contained unit—one purchase, one simple installation, one integrated unit. One of our customers replaced his three-piece home access system—a security camera, a video doorbell, and a smart lock—with one Gate. A popular competitor requires users to purchase four separate devices—a smart lock, video camera, keypad, and wi-fi bridge—to equal the features integrated into Gate’s compact unit. Lots of proprietary tech in there! Having one unit, instead of three or four, reduces the number of points of failure and provides a more reliable operation. Gate provides commercial-grade security, visual authentication, and flexible modes of access (remote, e-keys, physical backup) all in one unit, making it the top home security solution for busy homeowners with families and residential property managers, according to one smart lock tech review. Q: Tell us more about your plans. How much does it cost and what is included? A: Since Gate is a smart camera device similar to a smartphone, it creates video content that can be saved and shared. Through the Gate app, we provide our customers with plans to manage their Gate lock and its video content. ●At $7.99 per month, the Premier Plus plan grants unlimited users access to 30 days of video history and video sharing and users can set up unlimited scheduled access. ●At $4.99 per month, the Premier plan allows unlimited users access to 5 days of video history and video sharing and users can set up scheduled access for a maximum of 10 users per month. ●The Basic plan is free and includes everything needed to successfully operate the Gate smart lock. The Gate smart lock unit retails for $349 on Gate’s website and comes with a free 30-day trial period of the Premier Plus plan. UPDATE: For a limited time in early-mid 2019, we are offering a NEW aggressive bundle pricing. More details here. A: Gate is poised for major growth in 2019. 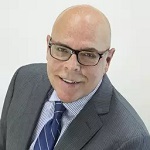 We have a strong management team—we hired Jens Voges, a business and technology executive with decades years of experience scaling consumer goods, food service, and high tech product companies. The former Chief Operating Officer at F’Real Foods, Voges was responsible for 15,000 locations and managed a team of 65 indirect reports as well as the company’s global patent portfolio and IP strategy. Voges joined Gate to scale our company’s growth efforts, operations, and team. Regarding the smart lock, the recent release of our second generation operating system (March 1, 2019) has made the current product very solid. However, we are working on the next version of the product that we’re calling the “second generation of hardware” — it will have the same look, user interface, and design but the mechanical guts are upgraded. For example, there’s a more robust motor and drivetrain, a newly designed deadbolt, and we’ve changed antenna technology so Gate’s application on a metal door won’t be a problem. More on this soon! Our vision is to have Gate installed on every door in the country. We want to give people greater flexibility and security to provide trusted access to their homes and businesses. We are creating a future where unattended access is secure, convenient, and becomes the norm. There will no longer be a need for hiding physical keys under the doormat or garden pot. We also see property managers using Gate to replace their rooms full of keys. With Gate, one person with a laptop can control access to an entire rental complex. They can grant new access and refuse access to departed tenants and coordinate services — all 100 percent remotely and securely.